Where Nebraska was once covered by grassland, most of the land is now used for agriculture. The loss of prairie causes problems for native species and on marginal land it can create issues with erosion and water quality. 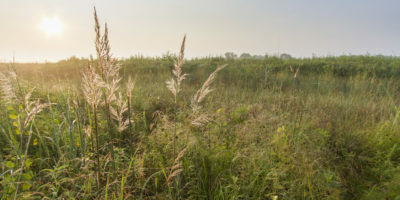 Conservationists are working to rebuild parts of the prairie in the Midwest. From the air, the Midwest looks like a patchwork of cropland and pastures. But before the land was turned over to plows and center pivots, most of it was a sea of grass. With this in mind, Mike Bullerman and his crew find themselves preparing for planting season in mid-December. 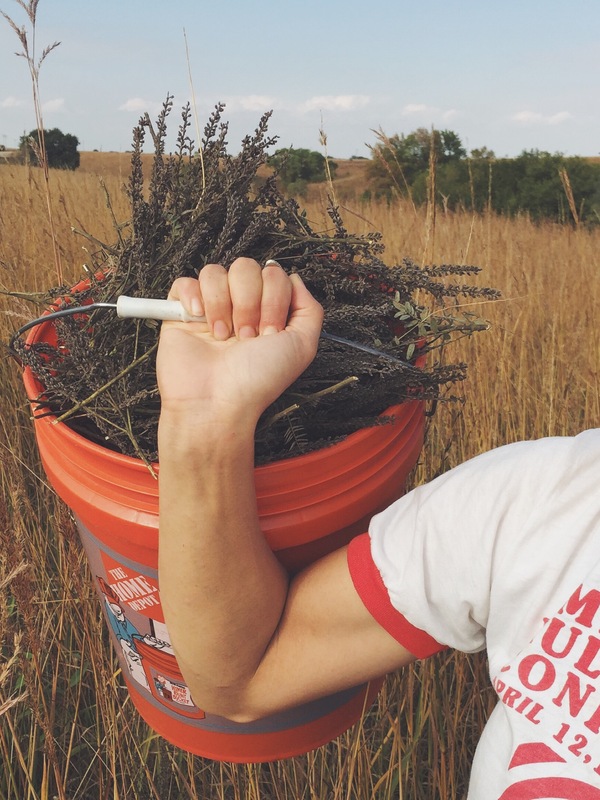 Bullerman is an ecologist with the Prairie Plains Resource Institute, a Nebraska nonprofit that educates people about the prairie while doing their own restoration and research. Inside a shed on the Institute’s grounds just outside of Aurora, Neb. is where the life of a new prairie begins. This pole-barn is where Prairie Plains keeps its seed. Rows and rows of garbage barrel containers are piled to the brim with some 250 species of seed. Some of the seed was harvested by hand and some by combine, but all of it is from existing Nebraska prairies. Bullerman and two assistants put on dust masks and goggles. They dump a few barrels of seed in a circle on the floor, then use shovels to heap the contents into a six-foot pile in the center. 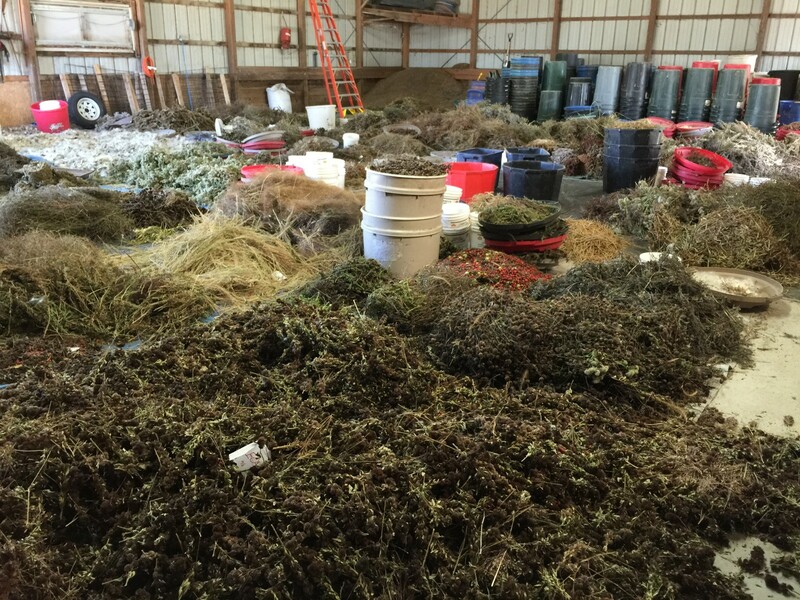 Sarah Bailey, the Prairie Plains greenhouse manager heaves a heap of seed into the mixed pile. There are several groups like Prairie Plains working in the Midwest to turn back the dial of history. Native grasslands were first plowed by pioneers homesteading on the plains. More land was converted to crops as tractors and machinery arrived on the farm and conversion of land intensified. Then in 1985 the Conservation Reserve Program, or CRP was implemented by the USDA. It was an attempt to turn the tide of over-development by paying farmers to convert highly erodible land back to native vegetation. 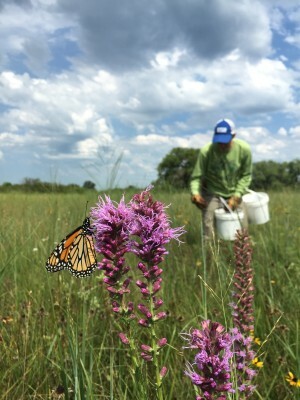 David Wedin, a professor at the University of Nebraska’s School of Natural Resources, said CRP worked as a conservation program. What will save the prairie? Volunteers at the Homestead Monument of America in Beatrice, Nebraska gather seed for their own plot of prairie and the Prairie Plains Resource Institute mixes hundreds of species for restoration projects. 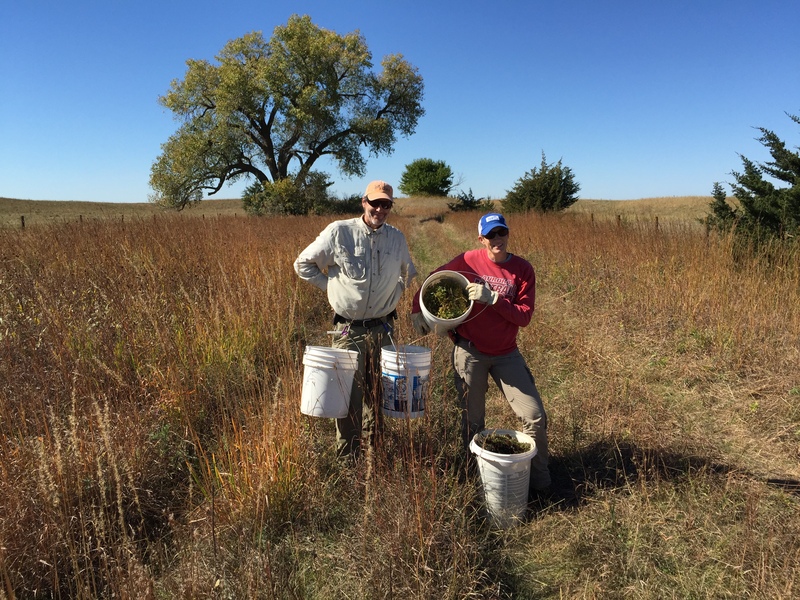 Through volunteer projects and education, can prairie grasslands make a comeback to our landscape? And what does it take to turn a corn or soybean field back to a diverse mix of local plants and grasses. Brian Seifferlein of Harvest Public Media takes a closer look. In recent years, CRP has faced competition from high grain prices. As the economics of agriculture have changed, farmers have decided to return much of that CRP land back to crop land. A 2013 report by the USDA showed that in 2012, Nebraska led the nation in converting non-cropland to cropland. Not all of this would be CRP or grassland, but over 54,000 acres were converted in Nebraska alone. Nationally, almost 400,000 acres were converted. “Even though our awareness of the issues has increased, and our desire for habitat for pollinators, and even though the availability of native seeds had increased the economics has been against grasslands in our agricultural landscapes the last few years,” Wedin said. 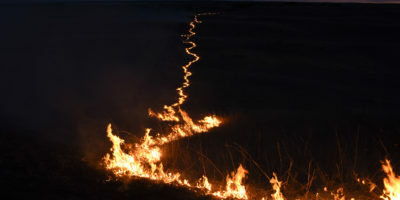 Loss of grassland has been a challenge for many of the region’s native residents. Birds, insects, and other wildlife that need a prairie ecosystem to survive have less room to roam. And Wedin says putting marginal land back into crop production exposes it to soil erosion. Back at the Prairie Plains Institute, Bullerman and the crew have shoveled the mixed seed pile back into barrels. They then hauled the seed on a flatbed trailer 30 miles away to a cornfield to be planted back to tallgrass. The seed is dumped into 1950s-era spreaders hitched up to four-wheelers. The land is flat, but water has pooled in a few shallow areas – and that’s by design. The two four-wheelers set off, pulling their spreaders. Clouds of dusty seed fall to the ground. It will be 3 to 5 years before this plot looks like a mature grassland, but Bullerman says that’s a scene worth the wait.  This story came from Harvest Public Media, a reporting collaborative focused on issues of food, fuel and ﬁeld. Harvest covers these agriculture-related topics through an expanding network of reporters and partner stations throughout the Midwest.